Hello, all! 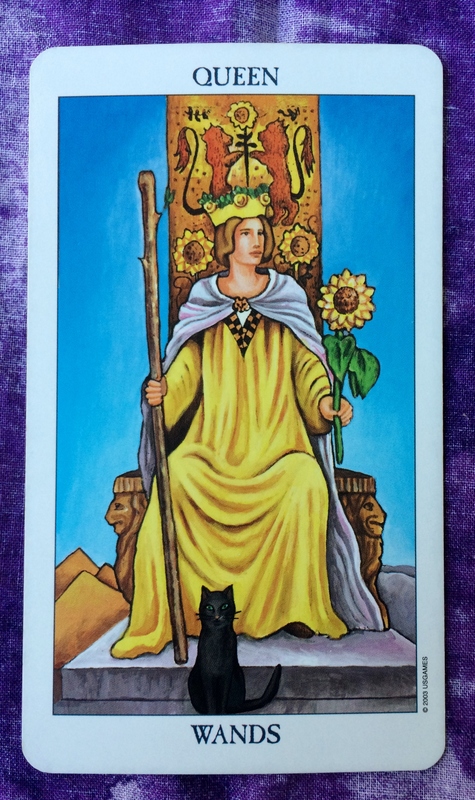 The Tarot card of the day is the Queen of Wands. The fast-moving energy of this past weekend has now found its perfect conclusion as we head into tomorrow’s spring equinox and the sun makes its way into the sign of Aries on the 21st. With today’s Queen of Wands, we are feeling a nice warm surge of vitality, making this a happy and productive day. You can become an inspiration for others who will bask in your positive vibration. This will be a busy day. But if you can, take a moment to breathe deeply and enjoy how alive you feel.